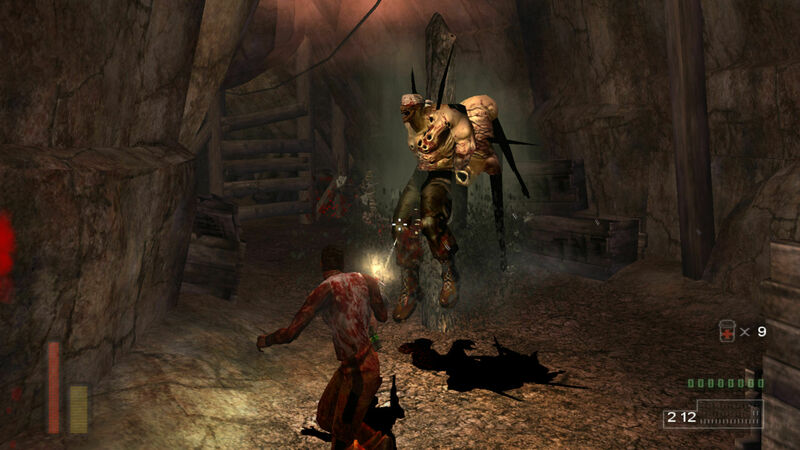 The early-2000s marked a high-point for horror fans with a steady flow of some of the genre's most influential games being released on consoles in a five-year span. While the slower pacing and fragile protagonists of Japanese-style horror dominated much of the spotlight, The Suffering and The Suffering: Ties That Bind were among a small group of North American games that helped pave the way for future titles with their action-oriented approach to horror. To mark the re-release of The Suffering and its sequel, we talked with the Project Lead, Lead Designer, and Writer, Richard Rouse III, who is currently developing The Church in the Darkness; the debut title from his independent studio, Paranoid Productions. Tell us a little about your history in game development and your role in The Suffering series. I started out making what would now be called indie games for the Macintosh - games like the RPG, Odyssey: The Legend of Nemesis, and tactical FPS, Damage Incorporated. Those were very small teams with me doing all the design/writing and most of the programming as well. I went to Surreal Software wanting to work on bigger games, spent some time on a (eventually cancelled) Western called Gunslinger, worked as a designer/programmer on Drakan - The Ancients' Gates for PS2, and that led to being lead designer and writer on a new horror title we were doing with Midway. The game was originally called Unspeakable and I ended up working on the original The Suffering and the sequel Ties that Bind for the next four years. By that point I had stopped programming and had become more of a creative director, but as a fun fact I did code the conversation system in the original game. More than a decade later, there are still fans of The Suffering calling for another sequel. Why do you think the series still resonates with people after all this time? At the time, horror games from Japan dominated the horror genre, with Silent Hill 2 being a particular favorite of ours. But, there weren't a lot coming from the west. We wanted to show an American take on horror, and we also wanted to make the game a bit more action-oriented. Half-Life was a shooter with a few horror elements, and it was a big inspiration to us. With The Suffering we ended up making a horror game with shooter elements, and we were able to tackle uniquely American subject matter, like prison culture, the dark history of Carnate Island that's tied to so many atrocities from America's history, and so forth. I think that was something players couldn't get anywhere else, and ended up being memorable. "Half-Life was a shooter with a few horror elements, and it was a big inspiration to us. With The Suffering we ended up making a horror game with shooter elements"
Beyond that, I think players liked the choices we gave them about how to proceed with the story - I still don't know of a game that lets you determine not only your character's future but also your character's past. And, I think it helped that we had some uniquely twisted monster designs, mostly courtesy of artist Ben Olson. The Suffering was one of those rare projects where the development went quite well. We built what we planned from the start without major changes, and we had just the right mix of elements to make something players continue to care about years later. You can't always predict it coming together like that, but I say as a game developer that you have to keep trying to make truly original ideas with settings and stories that really matter. Why did you choose Baltimore as the setting for The Suffering: Ties That Bind? The first game was set on Carnate Island - a fictional island off the mid-Atlantic coast. I wanted somewhere where it would be plausible there were witch trials but also a wrecked slave ship and an early-1900s asylum. It's a stretch to have all those things in one place, sure, but the coast off Maryland seemed as good a spot as any. So, when it came time for the sequel, we wanted to go to Torque's home in the city. And since we were mid-Atlantic, in a Maryland prison, it made sense he would be from Baltimore. Researching the first game I had read David Simon's book The Corner, and years before I had loved the show Homicide: Life on the Street, which was set in Baltimore and based on Simon's book of the same name. While we were starting on Ties That Bind I got started watching David Simon's most famous show, The Wire, also set in Baltimore. These were rich inspirations about the sort of streets Torque would have grown up on. One of our lead artists, Mark Bullock, had lived in Baltimore, and was able to draw a lot of inspiration from places only a local would know about. We also took a research trip out there and got into a few uncomfortable situations while collecting photo references. It turns out prisons don't like you walking around them taking a lot of pictures. Same with impoverished neighborhoods. The story was perhaps the most highly-praised attribute of the series. As a writer, what are some of your primary goals and concerns when starting a new project? "The most important thing for me is making a story that fits with the gameplay you're making. " which players could become Torque and then make decisions as him. The supernatural monsters also made a very clean reason for there being so many enemies you had to shoot - lots of games stumble on this, where they don't have any plausible reason why you're doing the core thing you're doing. Killing 500 humans is ridiculous, but killing 500 demons... when supernatural forces have taken over a prison island, you gotta do what you gotta do. The early 2000s was a significant period for horror with titles like Silent Hill 2 and 3, Fatal Frame II: Crimson Butterfly, Resident Evil 4, and Manhunt. Are there any trends from that era you would like to see return? It was a bit of a golden age for horror games on console, because you could make a game for a certain budget and sell enough copies to cover that. But, as games got more expensive to make with console players demanding longer games with higher production values, there was a push to make them broader in appeal so they could sell more copies to cover bigger budgets. 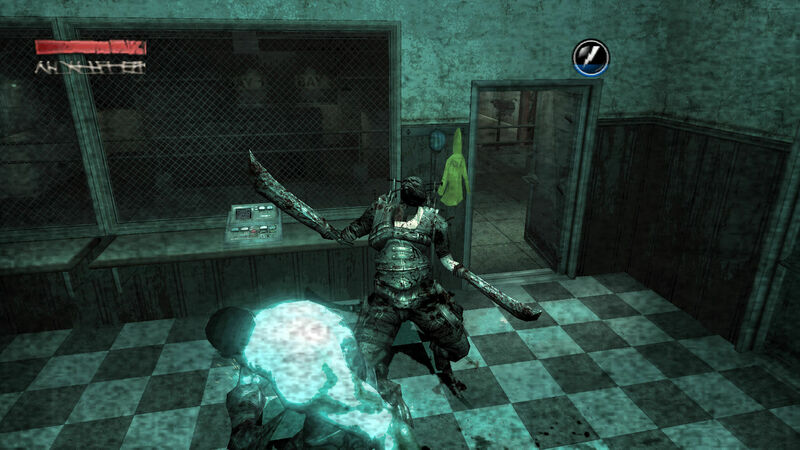 You might see BioShock or Dead Space as evolving out of that era, and taking some queues from The Suffering. But, in the process, they lost some of that "horror" feeling. Now, of course, horror is thriving in places like Steam, where you can viably make more niche games, and not every game has to be broadly appealing or have best-of-the-best graphics. "You might see BioShock or Dead Space as evolving out of that era, and taking some queues from The Suffering. But, in the process, they lost some of that "horror" feeling." In terms of what I think might be missing from today, of course The Suffering represents my personal tastes - horror combined with a strong protagonist who could do more than run away. I wish there was a bit more horror that was both thoughtful and represented the best in the genre, but in which I can also be empowered as a player. Do you ever go back to play any of your previous games? Not really. When I finish a game, I really feel like my part is done and it's up to players to "complete" the experience by playing the game. This wasn't true when the games came out, but in this modern age of YouTube and Twitch there's plenty of footage of people playing The Suffering and I love watching how they experience it. Besides, I usually know way too much about the game for it to be much fun. I'm currently working on an indie game called The Church in the Darkness about a cult in the 1970s - you're trying to infiltrate their compound in South America and check on a relative, and how players take on that challenge is completely up to them. You can play lethally or finish the game without killing anyone. It's not a straight-up horror game, but it's got a dark real-world feel to it, as it's based on a lot of real world cults from that era. It also has a shifting narrative; an evolution from The Suffering. In The Church in the Darkness, the personalities of the antagonists are different every time you play. Best of all, I'm working on it with a bunch of ex-Suffering developers. Most notably, John Patrick Lowrie who appeared in The Suffering games (the gas-themed boss Hermes, the guard you meet at the start of the game, and a ton of other smaller parts) plays the cult leader Isaac Walker, and his real world wife, Ellen McLain (who wasn't in The Suffering but who you may know from playing GLaDOS in Portal), plays his in-game wife and fellow cult leader, Rebecca Walker. We have some other The Suffering voice actors involved as well, who we'll announce later. Even though it's not horror or a shooter, I like to think The Suffering players will get into The Church in the Darkness when we release it in 2018.